RGR, LLC v. Settle, a case from the Supreme Court of Virginia, involved a plaintiff who was killed while driving a dump truck. Plaintiff drove his dump truck across train tracks at a private railroad crossing, which contained no bells, warning signals, or flashing lights. While on the tracks, he was hit by a freight train and killed. Near the railroad tracks, defendant operated a business that offloaded lumber from train cars and then loaded the wood onto tractor-trailers. Defendant had stacked lumber approximately seven feet inside railroad operator’s 30-foot right-of-way alongside the tracks. After passing the large stacks of lumber, plaintiff entered the tracks, and the train hit the front of his truck. At the time of the accident, plaintiff was delivering a load of gravel for a public construction project. 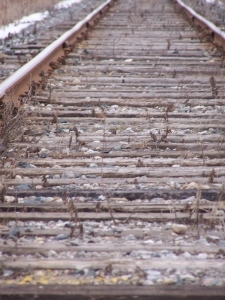 Plaintiff’s surviving spouse filed a wrongful death action in her late husband’s name, alleging defendant was negligent in stacking lumber near railroad tracks, thus breaching the duty of care owed to plaintiff and causing his death. As our personal injury attorneys in Boston can explain, the first element of any negligence action in the Commonwealth of Massachusetts is to establish defendant owed a duty of care to plaintiff. In RGR, LLC, defendant filed a motion to dismiss the case, stating plaintiff failed to establish defendant owed a duty, or that, if a duty was owed, defendant breached any duty of reasonable care. Defendant alleged plaintiff was a stranger to his business, and the accident did not even occur on his property, because the right-of-way was owned by railroad company. At trial, railroad representative testified the right-of-way served an important purpose involving safety, and it was essential to keep it clear, so both locomotive crews and drivers would have a clear line of sight to prevent injuries such as this one. He also testified lumber was not supposed to be stored in the right-of-way. After the conclusion of evidence, jury returned a verdict in the amount of $2.5 million plus pre-judgment interest. Defendant filed a motion to set aside the verdict, and parties agreed to suspend entry of final judgment to allow parties to address a $500,000 offset from a settlement already obtained by plaintiff. Eventually, trial judge denied defendant’s motion and defendant appealed. On appeal, the court looked at the issue of whether defendant actually owed a duty to plaintiff. Defendant’s main contention was that this case proceeded to jury under a premises liability theory, and this was not actually a premises liability case. The court of appeals, however, held defendant misconstrued plaintiff’s claim and judge’s instructions in to the jury. Appellate court concluded this was an ordinary negligence case, and that is how it was tried. It also held defendant knew or should have known stacking lumber next to a railroad track on a safety easement owned by railroad company was a breach of the duty of care. Ultimately, court of appeals affirmed trial court’s rulings and affirmed the jury award.